The PURPOSE of the PROJECT: To promote math skills in an everyday life experience, that emphasizes team work, measurement, data collecting, computer assisted design (CAD), engineering skills, physics concepts, and more team work. The CHALLENGE: The Algebra II PAP students are setup into teams of 4 members each and are expected to work as a TEAM outside of class to design and create a car that is human pedaled. It could be based on an existing or unique design of a car that must be pedaled a distance of at least 900 feet. There are many grades to be given but the 900 ft test is the most dramatic. And at the end of the grading process, THE RACE IS ON!!! Tournament style, with brackets monitoring outcomes as it formulates a winning path for the two fastest cars. 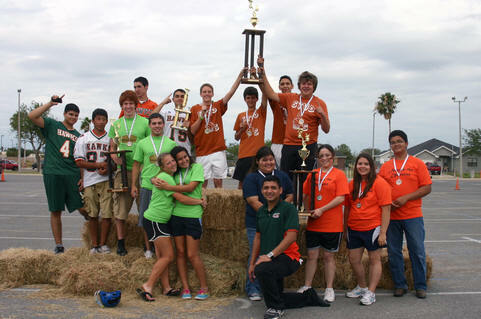 These races crescendo to the championship race for all the marbles, and bragging rights for being the best! The INSPIRATION: When kids see cars go by on the streets, highways, and byways, they imagine the wind blowing through their hair as they speed by...go faster, they may think to themselves...man, I wish I could drive. Once someone experiences the freedom a vehicle can give you (such as a bicycle, skateboard or even a go-kart), it makes you want to experience it again and again. Boxcars are just as fun, and they can be a world of learning in all of that fun people can have. Math can and is a big deal in creating and designing boxcars in this project, and that's why I came up with it. Gas is EXPENSIVE, and in this day and age because of the troubles some of us have just filling our gas tanks, we need bright young minds looking at their future with creative eyes. Who knows, this project may spark one of my students to become an engineer to develop a form of transportation that doesn't need any modern types of fuel. 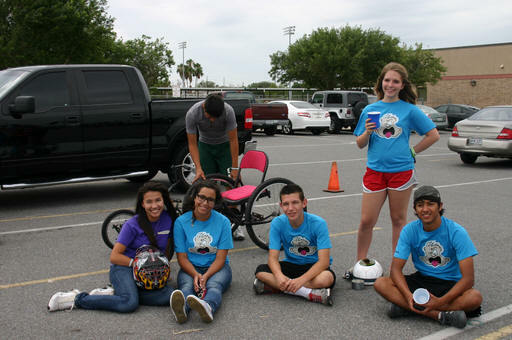 Crystal, Jennifer, Carlos, Caitlin, Pedro, and Kenny taking a much needed break in between races. Race Day is AWESOME! When that day finally arrives, the teams throughout the school day get their cars evaluated by parents, teachers, and fellow classmates on function, design, and boxcar making skills. 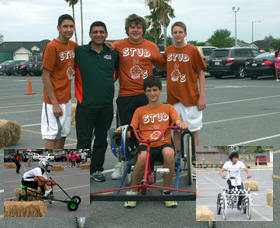 Their hard work and dedication is clearly shown in the different designs that are on display for race day. 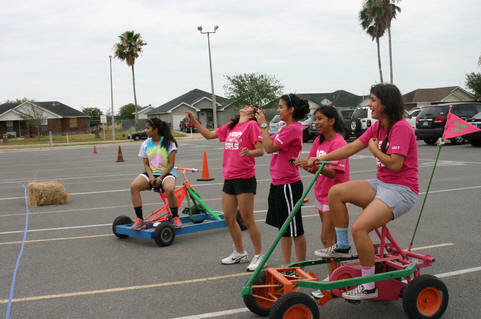 The Pedaled Boxcar Challenge brings people from all walks of life together as a team and gets them ready to be out in the real world. It is very similar to what they have to accomplish as a team to be successful in life and career. From what I have seen, these teams create an incredible side effect. 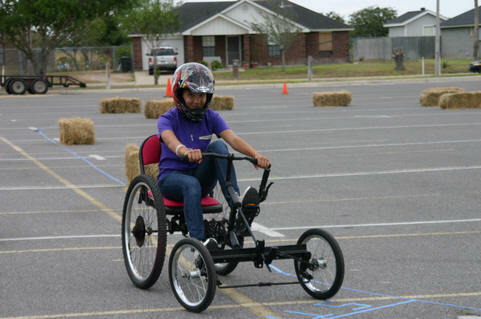 Their struggle to build their car gets them to motivated to learn special skills to make the car a reality. By the end of the project, they are better than friends. 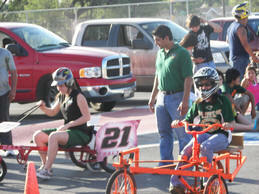 After the GRADING IS COMPLETED, the racing begins. The cars are entered in a randomly selected bracket to match 2 cars per race. 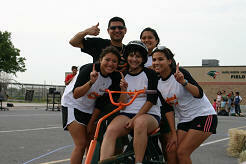 With every win a car gets, the Boxcar team slowly moves closer to the championship race. And as you can see from the above picture, the Algebra II PAP students are ingenious in their design and in the materials that they use to create their pedaled cars, making them fast and aerodynamic. The PVC Stallion, shown above, was made by what its name says, PVC pipe. That's right, the same plastic materials that are used to line the walls and floors of your home's water system is the same materials that were used to make their boxcar's frame. 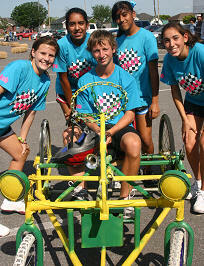 Taking 3rd place in Spring 2008 and Fall 2008 tournaments makes this a very fast vehicle. Team PVC Stallion are very proud of their accomplishments. Dr. Tapangan has been a sponsor since the beginning of the Project and now has sponsored all five editions of the Boxcar Challenge. He does it because of his dedication to children and their advancement in physical health as well as their mental health. 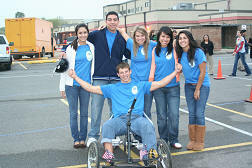 He and His Family have a vested interest in making it possible for The Boxcar Challenge to be a success. 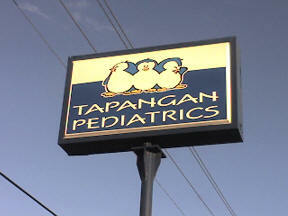 In OUR OPINION, NO other Doctor's office in the Rio Grande Valley is more committed to education than Tapangan Pediatrics. Thank You for your Support! Click here to visit their Sponsor Page.